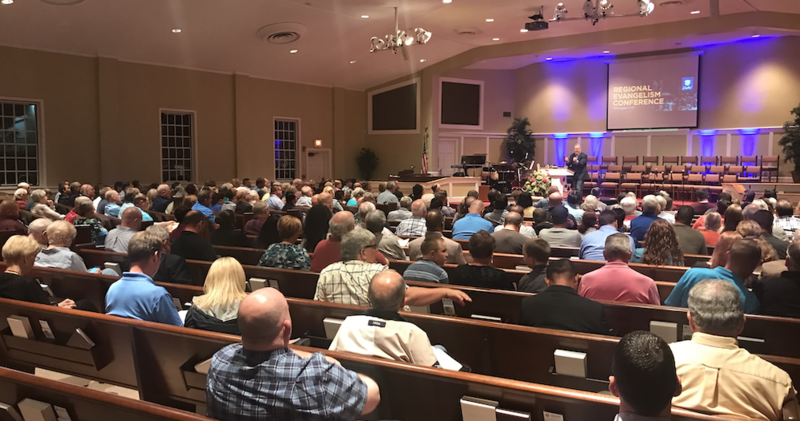 The Central Florida Regional Evangelism Conference was held on Tuesday, March 12, 2019 at Calvary Baptist Church of Winter Haven. The event theme ‘Who’s Your One?’, sparked raw and uplifting emotions during the four-hour event of sharing, worship and praise. 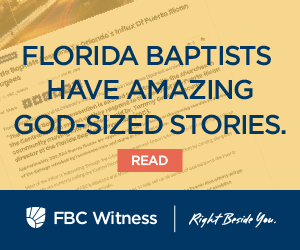 “It doesn’t get any better than that!”, stated Dr. Jeffery Singletary, Regional Catalyst for the Central Region of the Florida Baptist Convention, who was present at the event. The Evangelistic panel and presenters were Dr. Erik Cummings, President of the Florida Baptist Convention and Senior Pastor of New Life Baptist Church of Carol City; Dr. Tommy Green, Executive Director-Treasurer of the Florida Baptist Convention; Dr. David Uth, Senior Pastor at First Baptist Orlando; Mike Kahn, Executive Director of Tampa Bay Baptist Association; Tim Williams, PhD, Senior Pastor at Calvary Baptist Church of Winter Haven; and Dr. Mondonico Williams, Mission Pastor at Idlewild Baptist Church. Several of the panel speakers poured out their testimonies and encouraged attendees while “Presenting unique and innovative ways to share the gospel in various contexts effectively,” reported Dr. Singletary. During the event, conference guests were not only nourished spiritually, but were also fed savory food and showered with beautiful melody. Attendees were treated to a delicious pot roast dinner and rich music was provided by the Calvary Baptist Worship Choir. Dr. Tommy Green preached from Revelation 8:1 on the Lamb breaking the seventh scroll seal and the 30 minutes of silence in Heaven that followed. Then he spoke about a dying man who preached to dying people about our Lord, Jesus Christ. The dying man wanted the people to know about Jesus and had a passion for the lost. Next, Dr. David Uth preached on the lost ‘one’ and drove home the significance of ‘Who’s your One?’. For information regarding upcoming Regional Evangelism Conferences, please visit: https://flbaptist.org/evangelism/.